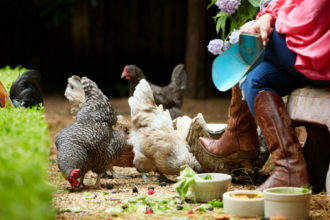 Plus, find out which Dallas neighborhoods will let you keep chickens. Monica Rose tends to her thoughtfully planted culinary gardens as a painter would contemplate every stroke—she nourishes, pinches, gathers produce, replants. At 28, she is quietly pioneering a farm-to-table movement from the backyards of many Dallas homeowners. In 2014, she launched Edible Landscapes Dallas after repeated requests to cultivate personal, “menu-specific” gardens. She now has the incredible challenge of designing, installing, and maintaining nearly 100 bespoke gardens for homeowners in Highland Park, Addison, Plano, Arlington, and Dallas and also offers landscape, floral, and interior plant design services. Give Fred and Bill a visit. They’ll hook you up with all the supplies and knowledge you could possibly need. Keep an eye out for their workshop schedule. 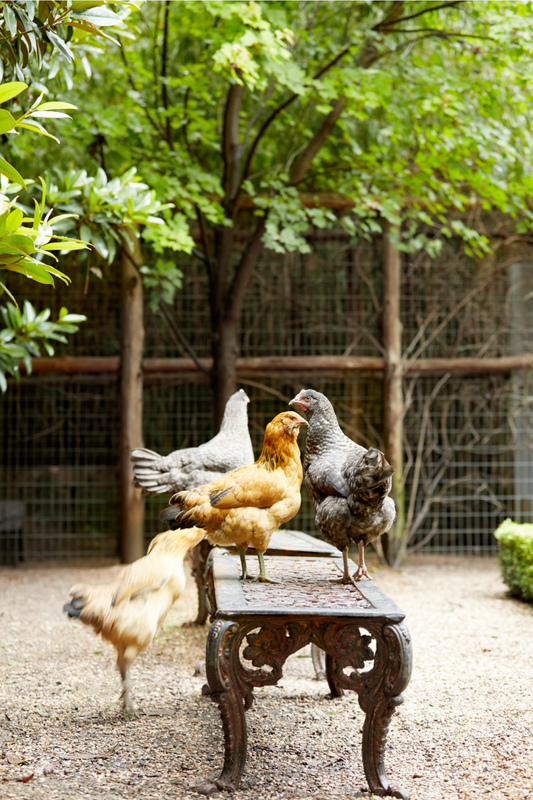 Dannye Butler’s Dallas backyard is home to an impressive coop with eight chickens. For others interested in keeping an at-home coop, she recommends feeding them chicken scratch and feed, as well as oyster shells, grits, fresh fruit, and fresh vegetables. (Watermelon, blueberries, corn on the cob, wheatgrass, and sprouts are just a few favorites.) But what type should you keep? Fellow enthusiast Marin Fiske recommends chickens that can handle the heat, like Red Stars, Easter Eggers, and Leghorns. In the summer, give them “chicken-aid” (an electrolyte mix similar to Gatorade). In the winter, warm oatmeal will do. Don’t forget the dust baths. Local beekeeper Miriana Andreeva researched through blogs, Facebook pages, and local educational classes before getting bees. She keeps stevia, salvia, peonies, roses, herbs, and holly in her backyard for them to feed on. “There’s a plethora of options for them to forage freely,” she says. 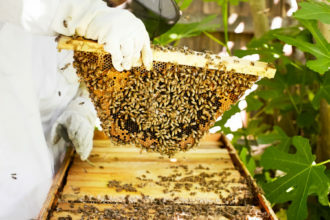 If you plan to follow suit, open the hive every eight weeks to check on the bees, but monitor weather conditions, humidity, blooming plants, and “traffic patterns” daily. But the biggest part of beekeeping is education. Join a group and take classes at the Trinity Valley Beekeepers Association or the Texas Honeybee Guild. “BeeGirl” Christi Baughman teaches classes in Seagoville, as does Round Rock Honey in Rowlett. Decoding: Can you keep chickens in your neighborhood? If you live in HP, best to keep your creatures elsewhere—no bees or chickens allowed. Within Dallas city limits, you can keep pigs, chickens, turkeys, cows, sheep, goats, and horses at your residence. 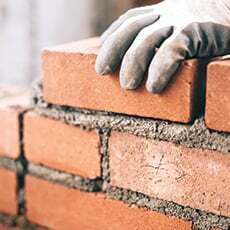 See city code for exact regulations on amount of space required. Like its neighbor, bees and chickens aren’t allowed within UP city limits.